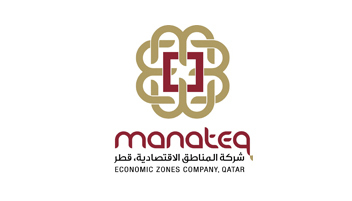 manateq – Economic Zones Company has awarded a major design tender for its Commercial and Residential buildings in Ras Bufontas Special Economic Zone to fd consult out of more than 20 local and international bidders earlier this month. The Project is approximately 3.9km and is in close proximity to Hamad International Airport (HIA). Consisting of a Development of 5 Commercial & Retail Buildings, 12 Mixed Use Buildings, 4 Showrooms and a Mosque. The total Plot area of the 22 Plots is 197,945 sq.m. Total built-up area of all the buildings is 754299 sq.m. Adjacent to Doha’s new airport, Hamad International Airport (HIA), Ras Bufontas is ideally located for companies looking for world class infrastructure and international connectivity, with world leading organizations on your doorstep, you will be located in a thriving and prosperous business environment, opening doors into the Gulf Region and beyond. An area of 4.01 km² filled with top quality facilities, combined with the unique service offerings of Manateq, makes Ras Bufontas an efficient, sustainable, and premier business climate for investors. Manateq is focused on providing elite service s to ensure that the establishment and operations are an easy, engaging, and enjoyable experience. The Qatar Economic Zone 1 is the first of three economic zones to be delivered by the Qatari Government as a means to diversify Qatar’s predominantly resource based economy. Qatar Economic Zone 1 will be a specialized logistics and industrial hub that enables ease of access and handling in a secure, high quality environment. Qatar Economic Zone 1 will be a locus for regional and global business, trade and investment, driving the economic diversification of the State of Qatar.